When somebody books with you, it's always good to follow up with confirmation and reminder emails. Appointlet has a simple solution to help you automate this process! 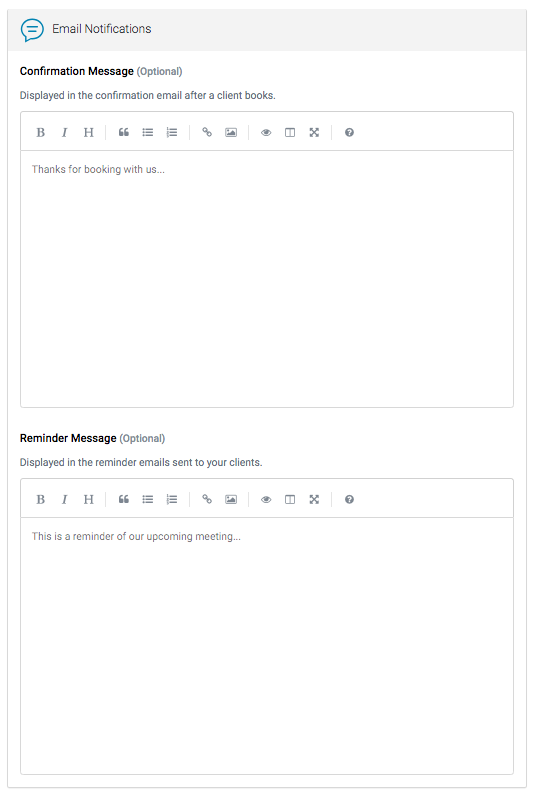 Confirmation and Reminder emails are set in the "Email Notifications" section on your Meeting Type. Once your reminder message is set up, navigate to the organization settings by clicking the Settings gear icon in the upper left corner of the app. 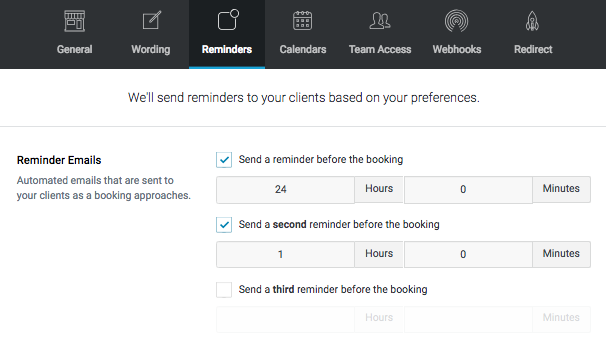 Within the organization settings, you can click on Reminders to configure the quantity of reminders to send and when to send them, as shown in the image above.